Based in Croydon, we are Arnold & Baldwin. We were first established in 2007 by managing director Joe Arnold who is a member of the RICS Residential Survey & Valuation Professional Group. Arnold has over 15 years’ experience in the chartered property surveying industry undertaking residential RICS regulated surveys. 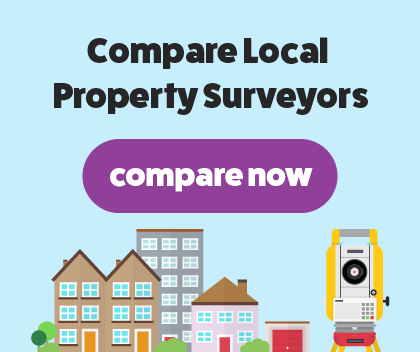 Our team are all professionals with extensive knowledge and training in the chartered property surveying industry. We offer a RICS regulated homebuyer report and a RICS building survey throughout London and the South East. We pride ourselves on our high-quality service, which is shown in many happy customers and reviews. We strive to give you the best experience during your time using Arnold & Baldwin. At Arnold & Baldwin, we are proud to offer a RICS Homebuyers survey. This survey is suitable for properties that remain in good condition and haven’t undergone any major reconstruction work. We will assess the condition and structure of your property’s interior and exterior. We will look for minor and major defects such as rot, damp and infestation and highlight them in a jargon-free report that's easy to understand. One of our RICS regulated surveyors will then award your property with a condition rating of 1, 2 or 3 and advise you on what to do next. Our RICS structural survey is designed for listed, older and uniquely constructed buildings. If your property has had or plans to have an extension or reconstruction work, then you’ll need a building survey. A RICS regulated surveyor will assess the condition and structure of your house, searching for major defects that could affect your house’s exterior and interior. The building survey is the most comprehensive one, looking under and behind furniture and underneath floorboards. We will give you our expert opinion and advice on our findings which will be presented in an easy to read report.